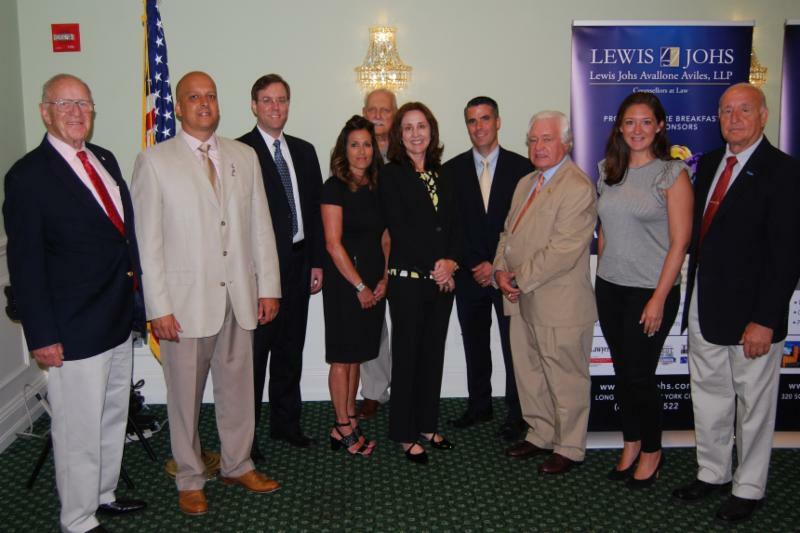 On Friday, August 10th LIMBA hosted a breakfast forum with the first female police commissioner in Suffolk County’s history, Geraldine Hart, which was co-sponsored by Twomey Latham. Partners Bryan Van Cott and Patrick Fife attended the event. Commissioner Hart, a 21-year-veteran of the FBI, cited recently released crime statistics that reflected an overall drop in crime, ways that Suffolk County businesses can help support the police department, in addition to discussing top priorities for Suffolk County that include: combating the opioid crisis, MS-13 and gang-related violence, and school safety. 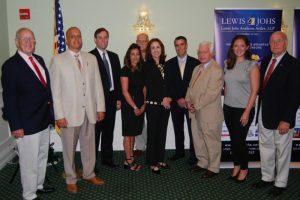 Pictured from left to right: Assemblyman David McDonough, sponsors Amaury Hernandez, Bryan Van Cott, Renee Barreto, Ernie Fazio, Commissioner Hart, sponsor Patrick Fife, Bill Miller, Erica Anderson, and Ken Nevor.